Earlier this year I reviewed Whose Tools? 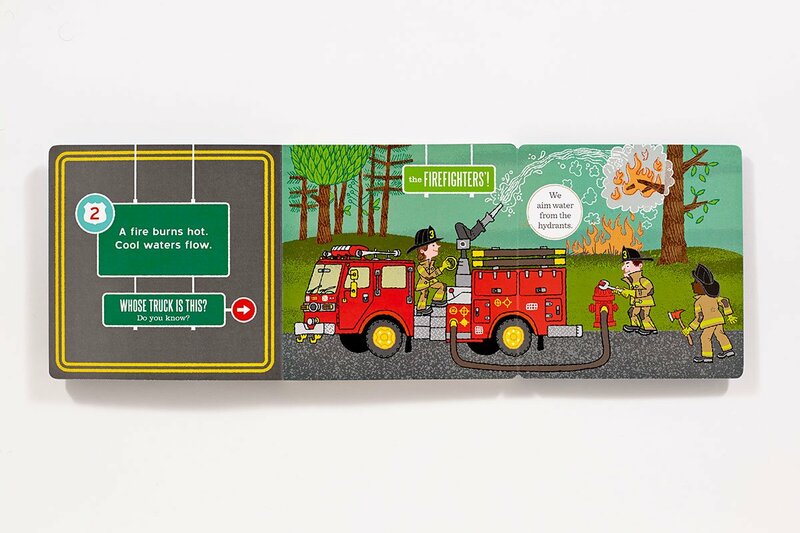 by Toni Buzzeo and illustrated by Jim Datz. I loved Whose Tools? 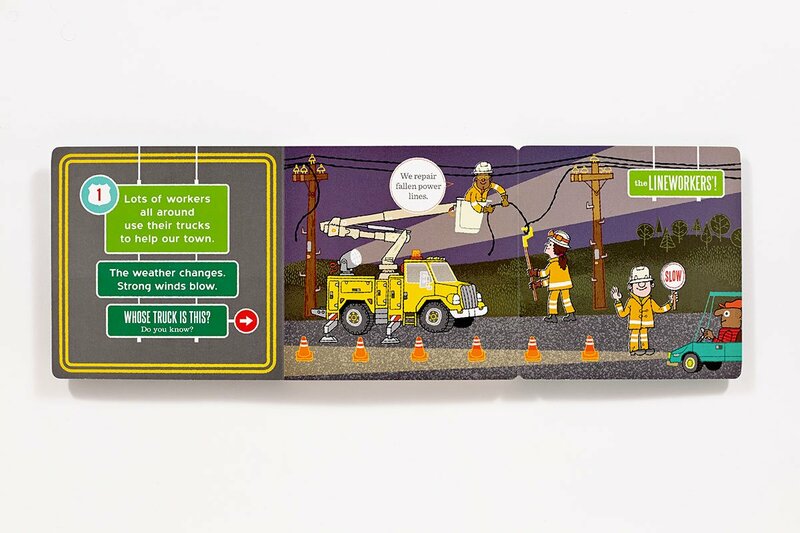 for the subject, something kids love but also something there are few picture books about, and for the wonderful illustrations and engaging gatefolds opening to show the tools at work. Whose Truck? brings us the same great format and text - a guessing game - along with a subject everybody loves. Buzzeo begins Whose Truck? with a great rhyme, "Lots of workers all around use their trucks to help our town." After this, a clue is given and the reader is prompted, "Whose truck us this? Do you know?" A detailed illustration of the truck has parts labeled. When the page is opened, you see the truck and workers in action. 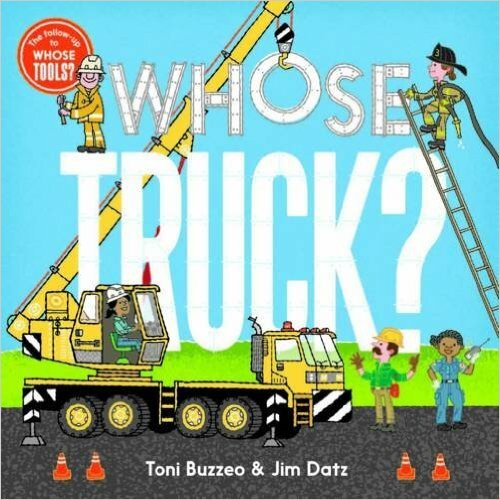 There are six trucks featured in Whose Truck? 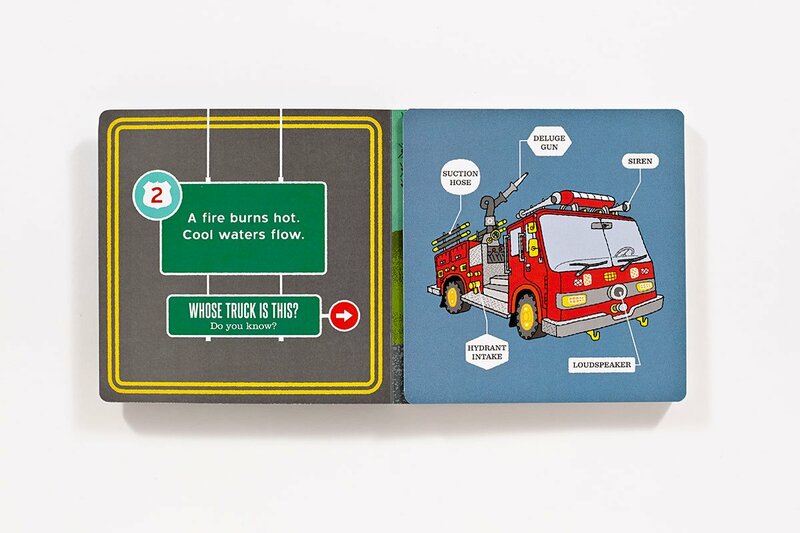 and they are not the typical six trucks you find in most kid's books. Whose Truck? features a broadcasting truck, which you rarely see. A fire engine, snowplow, ambulance, utility truck and crane round out the rest. Whose Truck? 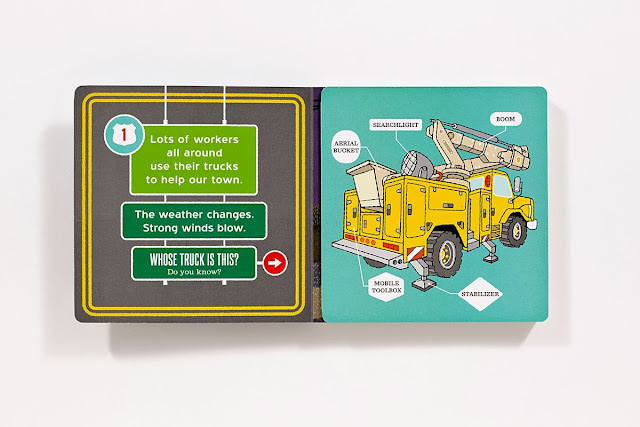 ends, "The helpful trucks all come and go," and features an illustration of all the trucks on the road. Anwering the question, "Whose trucks are these?" reveals that they are toys belonging to a boy and girl playing on a carpet with a town map printed on it. Whose Truck? is a book that any kids will love and a MUST for little readers who enjoyed Whose Tools? !